"Special herb varieties are well received in spring"
For many producers and medium-sized trading companies, potted herbs are an interesting product category with which they can directly address a certain clientele. 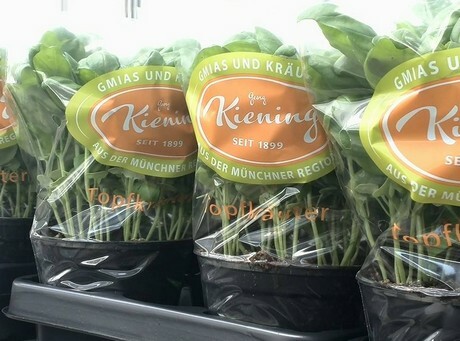 Bavarian vegetable-growing company Kiening has also been gradually expanding its existing range of herbs for several years. Now in the spring, they are increasingly focusing on special varieties such as the pineapple sage, whose harvest has started this week, says Caroline Kiening. Pineapple sage is an interesting niche for the vegetable farm, especially in the spring. "This variety is marketed exclusively as potted herbs, as the lion's share of our herbal range. The pots are sold either at our stall on the Munich wholesale market, via direct marketing or in the farm shop. In the meantime, our range of herbs comprises 40 different varieties," notes Kiening. The more specialized varieties are mostly available in spring, later in the season the presence of the basic assortment intensifies and characterize thyme, basil and mint. "Basil is available year round and is grown on a larger scale. These classics enjoy a roughly constant sales each year, in contrast to fashion trends, whose demand mostly only entertains and then decreases again." The assortment of the family business contains, besides herbs, more than 30 other vegetable crops. 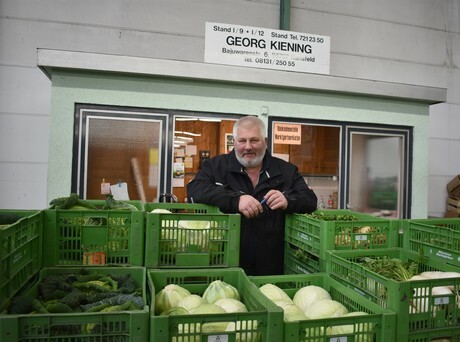 The majority of these goods either lands directly in retail stores, with wholesalers or at regional farm shops, which buy goods from the Kiening family. Differences between these individual markets are already noticeable, confirms Ms. Kiening. "Direct marketers pay less attention to price and more to freshness, taste and regionality. Especially for this customer base, origins and seasonality of the products are more important."